Visual merchandising is now one of the most demanding jobs for merchandisers in European countries. With the change in choice of consumers and standard of living, people are now more conscious about fashion and visual appearance of goods and services. The person who is involved with visual merchandising is considered as a visual merchandiser. Visual merchandising is different from any other traditional type of merchandising in a sense that for traditional merchandising, merchandisers actually work as a media or communicator between buyers and sellers. On behalf of a seller, a merchandiser deals with contacting with different current and prospective buyers located in the local market and international market. But the visual merchandisers work for ensuring visualizing product or services more gorgeously to get the attention of the customer which helps to increase the sales. Basically, the involvement of visual merchandising is more common in a retail store where they work for the management of visual display of physical product to attract target customers. Bachelor degree from fashion designing institute with a tremendous academic record. Bachelor degree of architecture with good exposure to designing. A student from marketing also can involve in visual merchandising but the important thing is, that person required to have knowledge about a choice of customer and ability to visualize the outlook of the store and display of product which will get the attention of the customers. A person does not have any academic qualification of fashion designing, apparel, architecture etc. can be a successful visual merchandiser only if he/she has real life experience and good exposure of visual merchandising. The important thing here is the experience that the person acquired through working and becomes a perfect visual merchandiser. One of the main qualities of visual merchandisers is an ability to visualize the outlook of a store where the product will be displayed. Before actually doing arrangement to give physical appearance of store it is required to visually how it will look like and whether this will serve our purpose or not. Also, it is required to visually how the arrangement and the display of the product will create a positive attitude towards the customer’s mind and influence the customer to actually buy the product. The responsibility of visual merchandiser is to plan to decorate the shop in a way that will attract the customers those who come to the store and buy the product. So the important thing is to understand the customer’s perception and choice then decorate and place the product in the right place in the right way. Which will helps to influence the buying behavior because the more attractive the product shows the more it will be demanded. Visual merchandisers sometimes assigned to arrange module of a showroom for particular business which is going to participate in any kind of trade fair. To attract thousands of people it is required to make the showroom attractive to the potential customers. So according to the requirement of the different department, visual merchandiser needs to communicate with different people working in different departments, that why visual merchandisers have to have good communication skills. In other sense, a visual merchandiser actually communicates with the customer through his/her creative arrangement of the product or services in the showroom. As a visual merchandiser, it is required to keep in mind the visual effect of the work because it will help to create a positive first impression. You can use any color for decorating but using proper color can make things more gorgeous. The color of a wall, color the of the roof, color of the floor, the color of the structure everything matters. So special consideration must be given when selecting a color, also for designing a product or service layout you have to consider the color combination that gets the intention of the customer. A creative mind can bring innovative ideas which actually can create a huge impact on the market. Sometimes you can see that for new and unique design customers are ready to pay the premium price that’s why companies always looking for a creative mind so that they get the unique product through making and selling. A visual merchandiser must have the capability to think differently by using their creative mind for the company for which they are working. Proper awareness of trends helps to work with the potential product. If a visual merchandiser is aware of the trend then he/she will work for ensuring the visual effect according to the market trends. On what basis customer choose their product, is it the quality or brand or any others factors. You can see that peoples are now more conscious about fashion, style, visual appearance, so merchandiser should keep in mind the current trends of the consumer’s demand. Proper knowledge of displaying a product is required to have by the visual merchandiser because, a product should have some specific qualities, features, price etc. These things must be visualized in a proper place with the product so that the customer can get the idea about the product when they are observing the product. In every aspect of our life we are now dependent on modern technology, with the help of the computer, the internet we may have access to information located on a web. As a visual merchandiser, you can design the outlet by using different AutoCAD software which helps to see how a design will look like. On the other hand, by using the internet you can get the idea of the latest trend, latest design, and the latest concept of visual merchandising around the world. 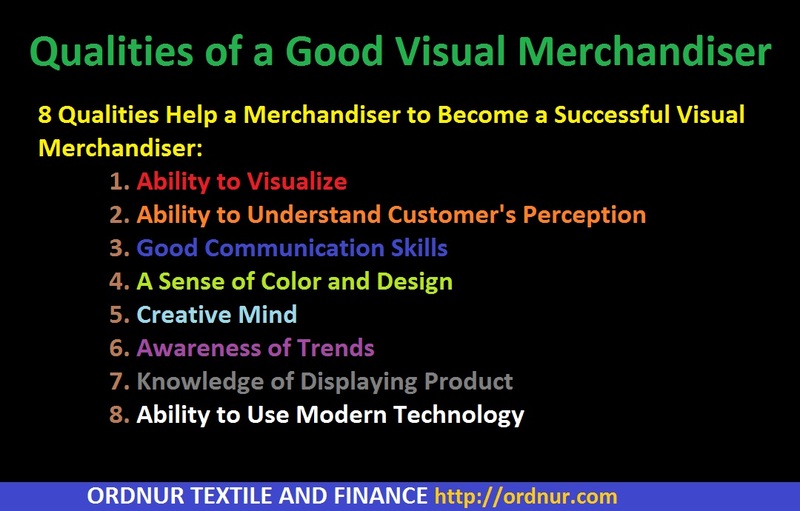 These are some of the qualities that a visual merchandiser required in his career. Although according to the product or store the concept may vary and also any other types of qualities may be required. The success of merchandiser depends on own qualities of how he/she can convince people to buy a product. As merchandiser works as a mediator between buyer and seller they actually influence by using their words and attitudes. You may find many visual merchandisers working in the same company and they are devoting their effort to get the same goal of organizational success through increasing sales of a product. And they are paid higher than other types of merchandiser because of their expertise. If you want to be a good visual merchandiser then you have to understand how visual merchandising actually works and acquire knowledge about every aspect of merchandising. If you have the ability then you will definitely be successful in your merchandising of different sectors. Tagged 8 Qualities a Successful Visual Merchandiser Should Have, Educational Qualification Visual Merchandiser, Educational Qualifications required to be a visual merchandiser, Eight Qualities of a Visual Merchandiser, Meaning Visual Merchandiser, Meaning Visual Merchandising, Most Important Qualities of a Visual Merchandiser, Qualities Make Visual Merchandiser Successful, Qualities of a Good Visual Merchandiser, qualities of successful merchandiser, Qualities of Visual Merchandiser, success of merchandiser, success of visual merchandiser, Visual merchandiser, Visual Merchandiser Quality, visual merchandising, What do you mean by visual merchandising, what is visual merchandising, who are visual merchandiser, Who is Visual Merchandiser. This is true in the U.S. as much as Europe. 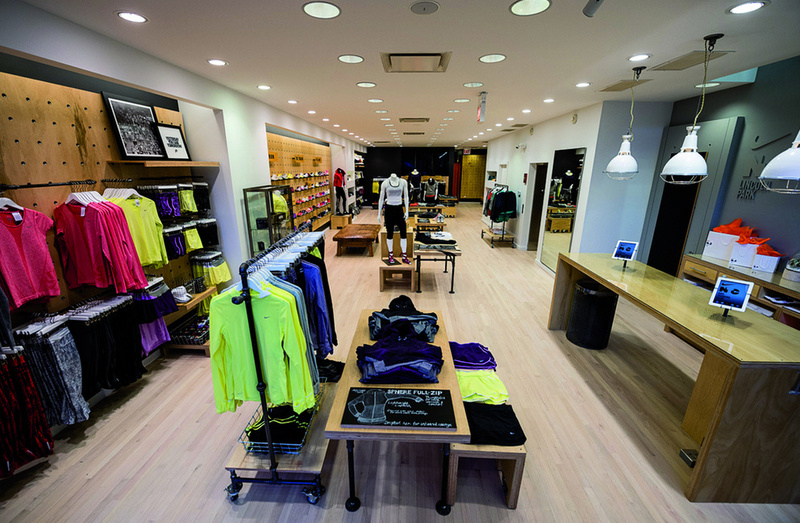 It’s also true that visual merchandising is expanding into new retail markets. Planograms aren’t just for grocery stores and department stores, anymore.